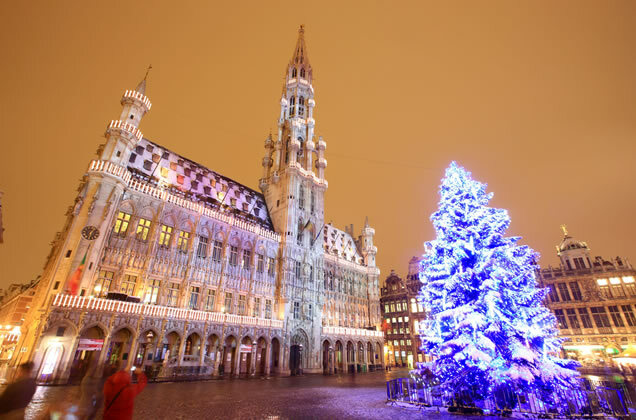 British Tour Operators voted Brussels’ annual Winter Wonders the most original in Europe – the Christmas market stretches for 2 km with a series of shops, chalets, attractions, activities and outdoor eating and drinking areas. 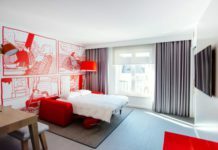 It all takes place in the very heart of the city of Brussels and gives locals and tourists the opportunity to (re)discover the city’s winter charms, the conviviality of its inhabitants and many seasonal traditions from around the world. You will find over 200 stallholders, for the most part artisan producers. Winter Wonders’ ice skating rink is the most popular winter attraction for visitors. The 60-meters long ice-rink consists of more than 1,000 square meters of ice with a skating area that can accommodate up to 300 people at once. New this year is the addition of the Swiss Chalet with capacity for 150 seated diners. It’s not all about numbers but… the Ferris wheel is 55 metres tall and offers a fabulous view over a very festive Brussels. For the smallest among us Andrea’s baroque merry go-rounds and their fantastic characters take their passengers on a magical journey. And they’ll be screaming on The Slalom slide and perhaps with a tinge of fear in the presence of The Ice Monster, a dinosaur with a ferocious appetite for children and adults – it was designed by an American firm best known for its creation of sets for large Hollywood productions such as Lord of the Rings and Harry Potter. Following last year’s well-publicized debate about the Christmas tree, this year’s spruce in the Grand-Place harks back to a sober, more traditional style. It originates from the western Hertogenwald Forest in the Hautes Fagnes. Whatever you do don’t miss the sound and light show as those ancient buildings are given a new modern life. And this year Winter Wonders has been extended to take in place de la Monnaie, which has recently been given a new lease of life. Described as a “heart-warming iceberg” and “an immersive, playful, sound, architectural and luminous journey” it reacts to visitors’ movement… à voir, as they say in these parts. Friday 29 November 2013 to Sunday 5 January 2014. Monday to Thursday and Sunday: 11am to 9pm. Previous articleMake your New Year’s Resolutions stick!